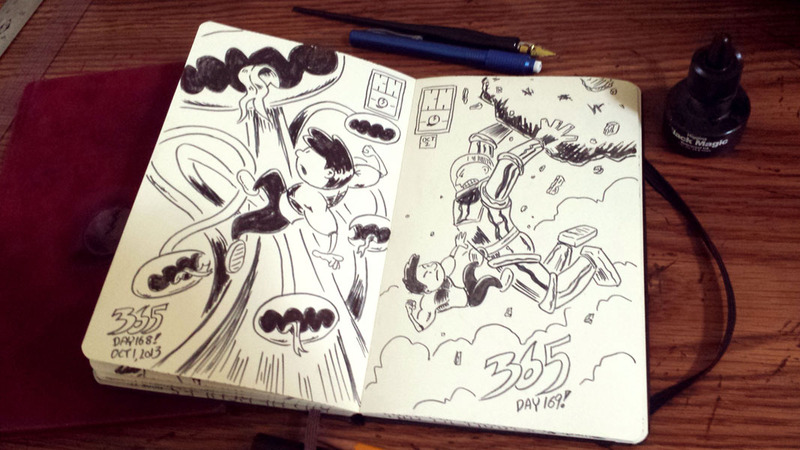 Here is the first sketchbook I filled up while doing the 365 challenge. I ended up needing four in total, and it started to become difficult telling them apart. My solution was to buy some Sharpie paint pens and add some cool logo designs to the front and along the spine of each book. My first of many sketchbooks filled during my 365 challenge. The first sketchbook was a gift from my youngest niece, and it has a felt cover. 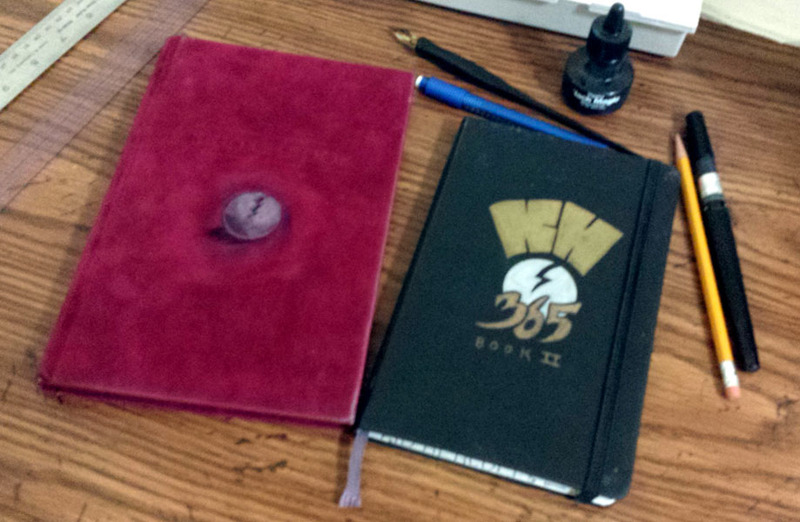 After that, I switched over to my usual Moleskine sketchbooks. Sketchbook #2 of my 365 challenge. 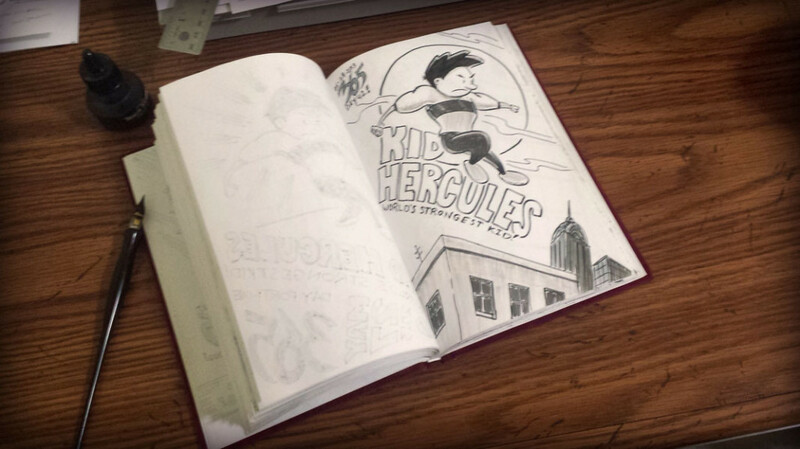 Kid Hercules 365: Books 1 and 2. I’m currently about halfway through my third book. More to come!